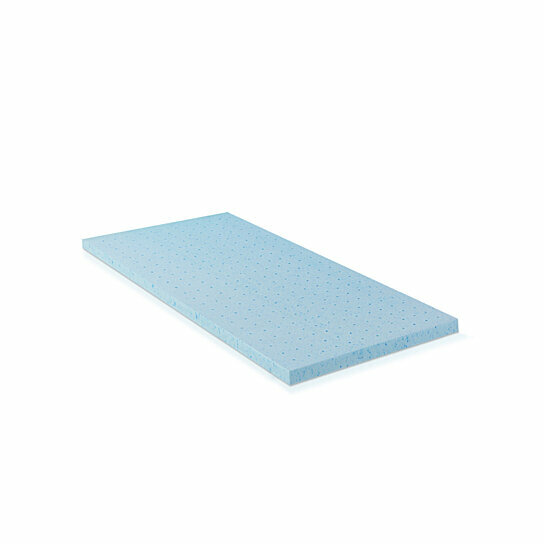 Guaranteed Better Sleep Quality - Furinno Angeland 2-Inch HD Gel-Infused Foam Mattress Topper allows you to adjust the comfort level of the mattress without spending a lot of money buying a new one. Pressure point relief design conforms to head and shoulder to provide spinal alignment for a great night sleep. Gel-infused HD foam and vented holes increase the breathability of the topper to prevent overheating during the night. Our foams are 100% CertiPur-US certified foams which means they are made without ozone depletes, PBDE flame retardants, heavy metals, formaldehyde, and phthalates. Odor Disclaimer: Should you notice an odor when unpacking your new topper, do not be alarmed. This odor is harmless and will dissipate. Please let the topper air out in a well ventilated area for about 48 hours to return to its best shape. Our topper comes in four sizes and fits any standard Twin, Twin XL, Full, Queen or King beds. 100% CertiPur-US Certified ventilated gel-infused HD foam. Makes the mattress feel firmer. Exclusive pressure point relief; conforms to head, neck, shoulder, hips and back; providing spinal alignment for a great night sleep. Hypoallergenic, Great for people with allergy and sensitive skin. Infused with cool gel beads and ventilated for better body heat distribution.